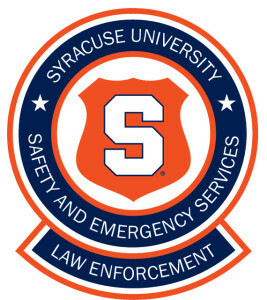 The Department of Public Safety (DPS) includes a campus police force serving the Syracuse University campus and University-controlled properties in Syracuse, New York. DPS employs 64 sworn Public Safety Officers and 15 supporting Community Services Officers who are stationed around campus and patrol the surrounding community. Public Safety Officers are on duty 24 hours a day, 7 days a week, and the DPS emergency call center, which is staffed with 11 APCO certified public safety dispatchers, is also available around the clock to address our community’s safety and security needs. The DPS police force office is on the ground floor of Sims Hall, located at 130 College Place on main campus. All of the DPS Public Safety Dispatchers are Association of Public-Safety Communications Officials (APCO) certified. They are also required to successfully complete a 12 week training program to further enhance their abilities to handle the specific needs of the university community. 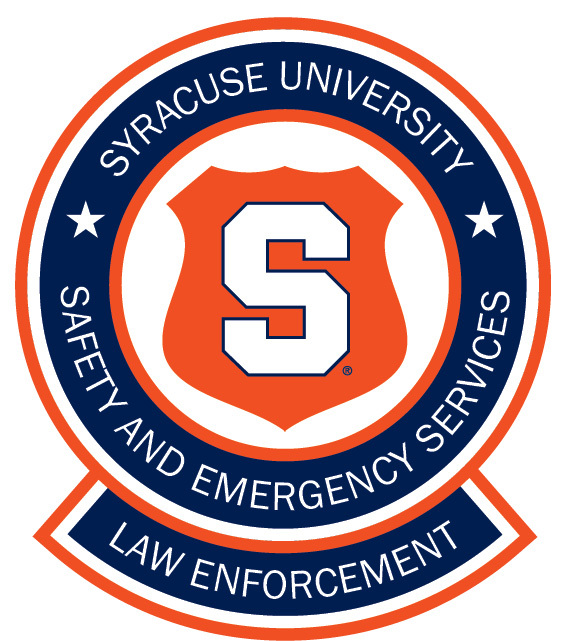 DPS also encompasses the Fire and Life Safety Services Department, which responds to emergency incidents such as fire alarm activations across campus in partnership with the Syracuse Fire Department. FLSS is responsible for maintaining the University’s fire detection and suppression systems and related life safety equipment. FLSS manages and conducts inspections of residential, administrative, and academic facilities to comply with federal, state, and local applicable building and fire codes. FLSS staff are certified New York State Code Enforcement Officers. Fire and Life Safety Services is housed in the ground floor of Lyman Hall, room 029. The Emergency Management and Business Continuity Planning manager also works within the DPS. The Emergency Manager for the University is responsible for planning the University’s procedures for emergency response, and works to ensure the policies and structures to facilitate appropriate and timely mobilization following incidents are in place. The Emergency Manager is available on an on-call basis for any emergency scenarios which may arise. The position is located within the DPS office in Sims Hall. Read the Department of Public Safety’s Mission and Vision Statements and view the DPS Organizational Chart [PDF]. The Department of Public Safety is part of Campus Safety and Emergency Services, a unit created in the fall of 2014 to bring safety-related functions across the University together into one unified reporting structure. The unit operates out of a separate office in 119 Euclid Avenue (the former Falk College administrative building) that is open during standard University business hours. For general information or questions for Campus Safety and Emergency Services, call 315.443.8610.